Have a strong bias for making things happen. Experience working in an environment leveraging remote communication and collaboration tools (e.g. HipChat, Slack, video conferencing, wikis, Github, etc). Legally authorized to work (without sponsorship) in Canada, Colombia, the United Kingdom, or the United States of America and are currently residing in the corresponding country. 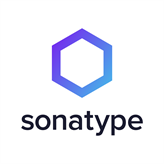 Want to get notified about new jobs at Sonatype?